What topics should be set to sticky? Posted: Wed Jan 02, 2008 4:32 pm Post subject: What topics should be set to sticky? Pretty much anything you think a newbie would ask when first getting here. I know i know i know there's a search function but how forums have you been a part of that people don't seem to know how to use or where to find it - though it at the top of the page!!! How about starting a "Status Page" thread in "Technical Support" where folks can report in where they are seeing problems/fixes? At least now there will be some (even if rudimentary) Status Page. Good idea, I am not sure, hopefully Mods can chime in. 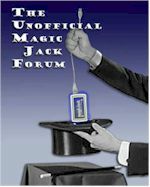 MODS, the "Using MJ remotely thread" should be stickied -- VERY useful information in there. He won so get over it and support him. Like we had to with the last guy. This bandwidth/ping/QoS Troubleshooting Script should be useful for some. Probably worth a sticky. This thread because it actually solved the User's problem.